Vienna’s Easter markets are worth a visit every year. Enjoy spring in Vienna with culinary delights, a colorful music program and stroll between large and small hand crafts. 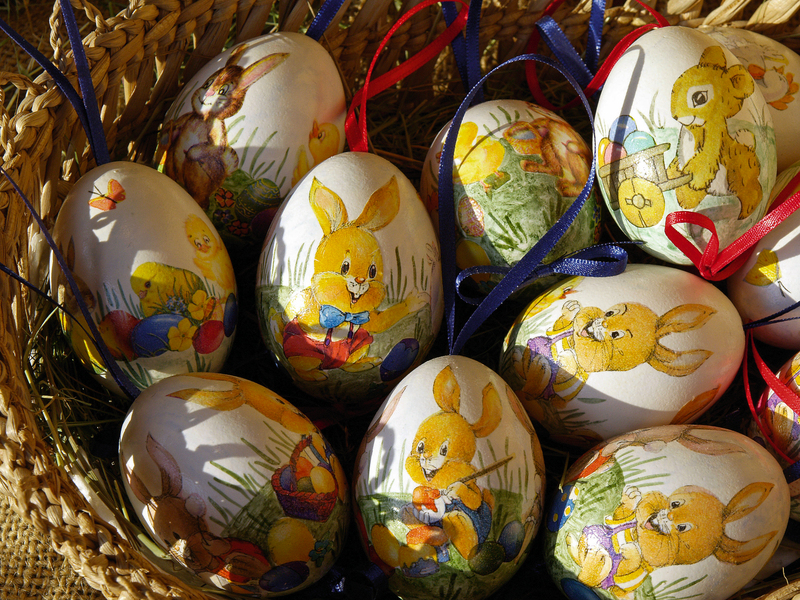 Buy hand-painted Easter decorations and wooden souvenirs for your loved ones at home. Snife on fragrant flowers and listen to the music in the markets, that has something to offer for all kind of tastes. 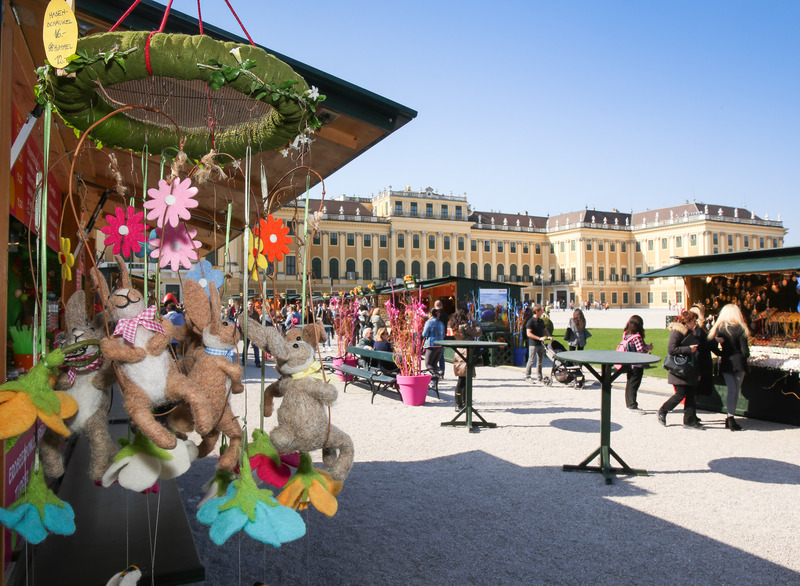 The popular Easter market in front of Schönbrunn Palace has a spectacular as well as famous and historically significant scenery. The approximately 70 exhibitors present this year a wide range of beautifully designed gift ideas and creative crafts. Also due to the imperial scenery, this market is one of the most romantic Easter markets in town. 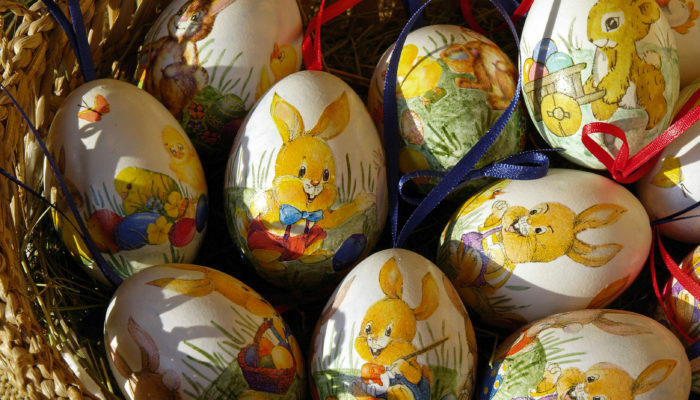 In addition to traditional treats, Easter decorations and crafts for adults, a Marzipan Easter Bunny Workshop and Palm fronds tying is offered for children. Jazz lovers should visit the Pavillion on Sundays as well as on Holy Saturday and Easter Monday. Already in 2014, the traditional Viennese lenten market on the Kalvarienberg was replaced by the Kalvarienberg Festival. This Market is especially about the artistic and cultural aspect of the Easter festival, where, besides all kinds of readings, live music and children’s programs, workshops are also offered. 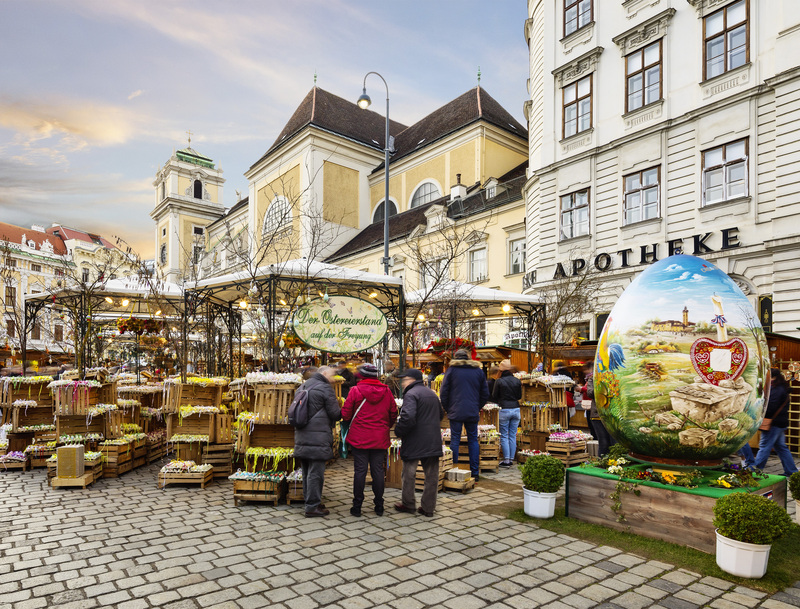 Artfully decorated easter eggs, lovingly created flower arrangements as well as many new stalls with arts & crafts as well as Easter Decor bordered by the newly restored historic buildings from different period characterize the market “Am Hof”. On the Viennese Freyung, one of the most beautiful old squares in the city center you will find the Old Viennese Easter market. Here you will find around 40,000 painted Easter eggs, largest selection of eggs within Europe. Easter specialties from baked Easter lamb to delicious farmer´s pastries specialties lure visitors with their delicious scents from far away. Children are offered an Easter craft workshop, puppet play and a rabbit hutch.